I have some good news and some bad news. 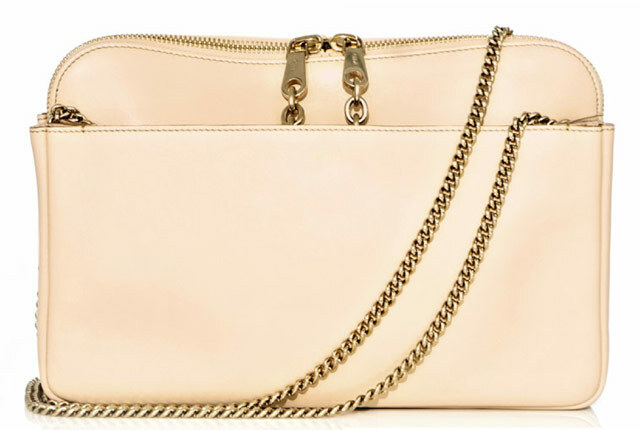 First, the good news: the Chloe Lucy Bag, which everyone adored when we included it in our Chloe runway coverage and our Fall 2012 runway wrap-up, has finally become available online, and its first landing spot is at Matches Fashion. Yay! 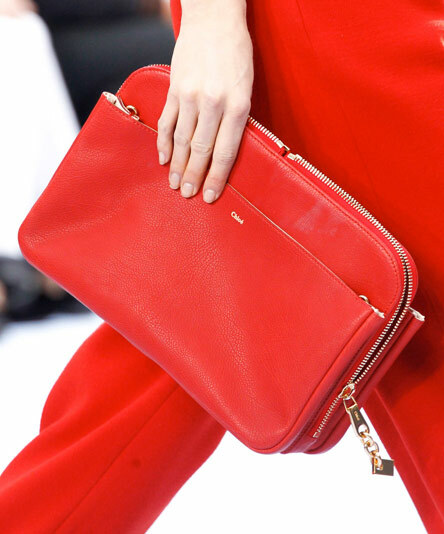 The first sighting of a major runway lust object available for purchase always gives me heart palpitations. The bad news? We need to have a discussion about its price. It’s a well-sized bag, but not large by any stretch of the imagination. I was mentally prepared to pony up $1295 or a little more for the red version, but at twice that, I don’t think there’s any way to justify the cost, considering Chloe’s current price structure for its other accessories – Paratys and Marcies almost all cost less than $2k, and they’re generally quite a bit larger. If you’re so inclined, you can purchase now via Matches for $2513.